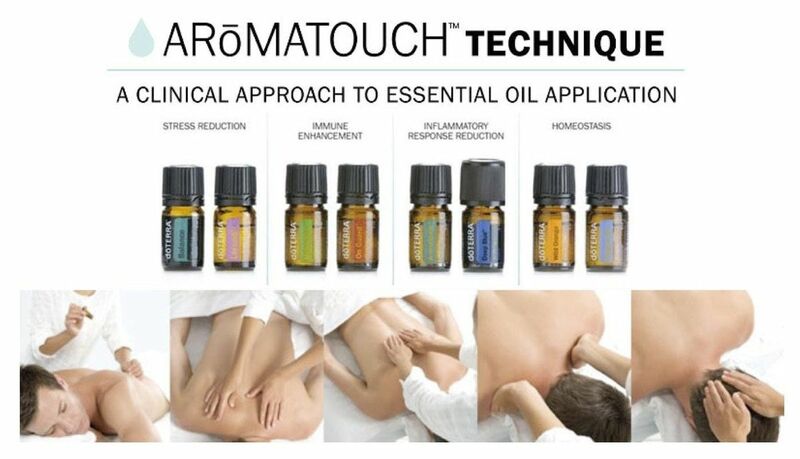 Join us for a 7-hour AromaTouch Certification class where you will walk away with the oils and hands-on training you need to confidently perform this technique on friends and family or clients if you are a licensed bodyworker. This technique uses 8 different oils to synergistically ground and relax the body, boost immune response, support a healthy inflammatory response, and create a higher level of homeostasis. The AromaTouch Technique was created by Dr. David K. Hill, D.C. a physician and world-renowned expert in the use of essential oils. Dr. Hill created a technique that would be easy enough for anyone to learn and administer, yet powerful enough to produce consistent results. The AromaTouch Technique incorporates simple hand techniques with the power of essential oils to create a powerful whole body wellness experience. Whether you are young or old, male or female-anyone can learn the technique and put it to use in the lives of those they care for. This seven hour class will run from 10am-5pm and will be held at Country Inn & Suites, in the Atlanta, GA area. The cost for the class is $149, and includes eight (8) 5ml bottles of doTERRA CPTG essential oils needed for this technique: Balance, Lavender, Melaleuca, On Guard, Aromatouch, Deep Blue, Wild Orange and Peppermint. You will also recieve a training booklet and a certificate of completion from doTERRA. After a ~1-hour PowerPoint Presentation and demonstration of the technique and the different hand movements, there will be short meal break and then we will go into ~3 hours of hands-on rotations of the technique. Each attendee will receive, give and observe the technique. We will also learn the hand technique. RSVP to Sandy Chasteen, at c2FuZHkgISBjaGFzdGVlbiB8IHlhaG9vICEgY29t, text at (949) 439-7759 or via this EventBrite posting to confirm your slot! Max group size is 18. Life Saver for Business Owners: Hire Freelancers In Minutes !